Each will have a black buns and black cheese! Sounds eerie? Let's see if you dare to eat one! 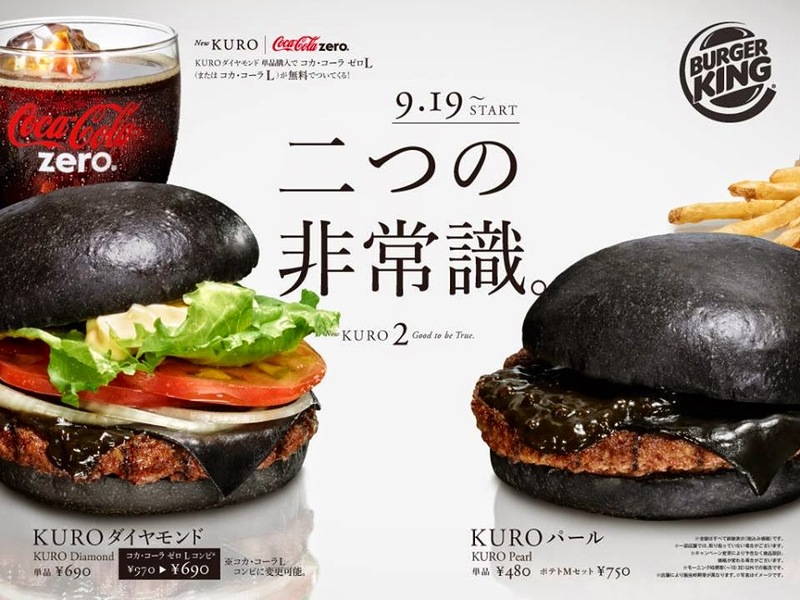 New Kuro Burgers will be offered by Burger King, which may only be available for purchase in Japan's Burger King stores. Kuro is Japanese for "Black". Thus Kuro Diamond and Kuro Pearl, sounds cool if you translate them in English. The Black Diamond and Black Pearl...burgers. Sounds cool, but we're pretty much intrigued if your mind will allow you to taste one. But who knows, there's a saying that, "Once you go black, you can never go back".